For more than 60 years, clients have trusted our firm with their personal and business matters. While the names have changed (past managing attorneys include Don Comer and R.J. McGraw), the firm is a fixture in its location in the Citizens Bank & Trust in downtown Hutchinson. While the firm primarily focuses in the areas of estate planning, real estate, agricultural law, and business law, attorney Dan Mahon serves as a counselor to all his clients helping them to navigate any legal issue that arises. Raised on a hobby farm outside of Silver Lake, Dan Mahon is from the area and understands the needs of our community and the importance of hard work. After graduating from the University of Notre Dame, Dan taught at St. Paul Catholic School in San Antonio, Texas. After teaching, Dan attended the University of Minnesota Law School. While in law school, Dan interned for R.J. McGraw, P.A. 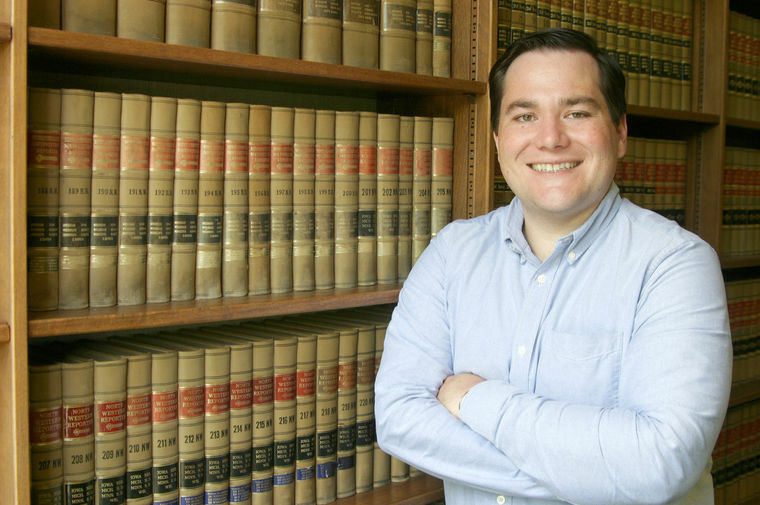 Additionally, Dan worked in the Consumer Protection Clinic at the law school and served as extern for United States District Judge Patrick J. Schiltz. Dan was admitted to the Minnesota bar in 2014 and has worked for the firm since then. Dan is a member of the Minnesota State Bar Association and the Agricultural, Probate and Trust, and Real Property Law sections of the Minnesota State Bar Association. Dan is a member of the Hutchinson Rotary and the Knights of Columbus.